Dr Byki Huntjens, contact lens lead at City, reflects on some of the recent initiatives to help our optometry students train for real-world practice. Dr Byki Huntjens is contact lens lead at City, University of London, and currently a Visiting Scholar at University of California, Berkeley (USAShe reflects on some of the elective events organised for our undergraduate optometry students this academic year, and which aim to give them an edge as they prepare for real-world practice. 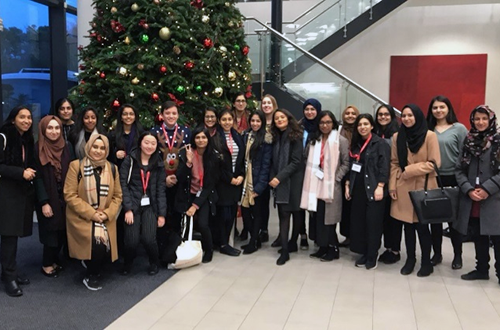 In December 2018, a number of second and final year BSc Optometry students visited Contamac (see photo above) for a tour of their contact lens manufacturing plant. They learned about the manufacturing process of rigid gas permeable and soft contact lenses, as well as specialty lenses including the larger, scleral lenses used to treat irregular corneas and keratoconus (a cone shaped cornea). Workshops were included on ‘topography’, an imaging technique to map the surface of the cornea, as well as the insertion and removal of scleral lenses. "I was pleased to hear the students’ concerns regarding the ecological impact of the waste products following manufacturing process. Following this visit, we have now launched an initiative at our City Sight clinic to recycle used contact lenses and their blister packs." During the same month, thirty final year BSc optometry students visited the Johnson & Johnson Vision Care Institute for an educational event called STEP® (Success Through Education Programme) Undergraduate Course, which is part of a larger course to support optometry students as they transition through to becoming newly qualified optometrists. This one-day course supports the contact lens university curriculum by offering practical experience in the form of workshops. The workshops included hands-on experience on slit lamp biomicroscopy, communication styles with patients, the fitting of contact lenses specifically to correct astigmatism (a common imperfection due to the eye's curvature), and important information about properties of contact lens materials. A discussion workshop was also facilitated on record keeping and writing a referral letter for a patient. City has taken part in the STEP programme since its launch in 2015, offering students the opportunity to visit the Johnson & Johnson Institute and receive some additional practical training to the curriculum we offer at our City Sight clinic. “In addition to this event, we were also happy to recently welcome JNJ Vision Care faculty members to City, when they introduced the STEP programme to our second year students! 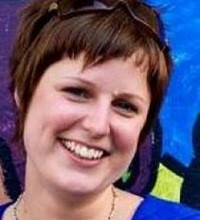 We look forward offering this opportunity again to our final year students next year." 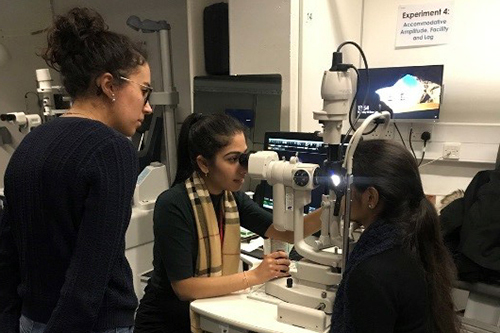 The first term during this academic year also saw seventeen second and third year optometry students facilitated an educational event for ten visiting French optical students. This annual peer-to-peer teaching event was organised in collaboration with Main et Loire CCI in France. Our final year students created a lecture on how to view the retina in an optometric practice, using two different techniques. The lecture was followed by a workshop where City students demonstrated the techniques and supervised the French students performing this on a fellow student. In return, the French students facilitated a lecture and discussion on refraction techniques: including how to measure what type of spectacle correction a patient needs. Furthermore, a group of our second and final year optometry students prepared four hands-on workshops on imaging techniques for the eye commonly used here in the UK, but not in France. I was very impressed with the final year students who created a customised lecture for our visitors, including animations and case studies. It was interesting to see how their communication changed during the day as it became apparent that certain techniques and phrases commonly used in UK optometric practice were not easy to understand by our visitors nor simple to translate into French. “However, although the professional differences between our two countries is large, everyone had a fantastic time learning about each other’s goals, clinical abilities, as well as legislation. We are already looking at dates for next academic year!"